The Christmas countdown is on in Britain’s Ocean City and Digital Visitor is delighted to be on board to promote it as one of the South West’s go-to destinations for the festive season. Plymouth has a vibrant variety of attractions, no more so than at Christmas. 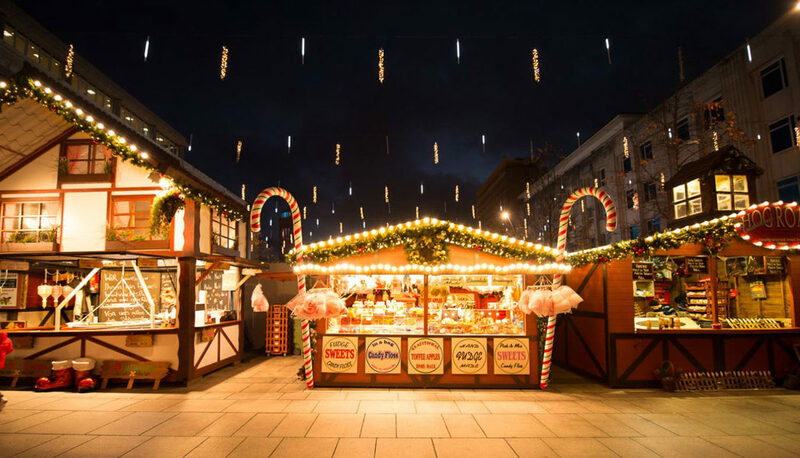 With a traditional market, with log cabin style stalls and a Bavarian bar, theatre shows and endless shopping opportunities at Drake Circus it has all you need for a fun-filled, festive break away. Through an interactive data capture campaign, and highly targeted social content and advertising, Digital Visitor will position Plymouth as a key Christmas shopping city; all whilst getting to know the audience and their preferences. Christmas is an exciting time for Plymouth as the city comes to life with festive markets, seasonal performances and events, drawing visitors from across the South West. Social Media is an invaluable tool to spread the word about what the city has to offer amongst our target audience. So we’re delighted to be working with Digital Visitor on a campaign which will not only increase awareness but generate leads for future marketing activity. Plymouth, Britain’s Ocean City, in the coastal county of Devon has a lively harbour, quaint cobbled streets packed with history and is surrounded by charming countryside. The City Centre features some of the regions’ best choices for shopping, theatre, accommodation and food and drink. A social media veteran of over 10 years, Digital Visitor prides itself on connecting its clients with their most valuable audiences. Specialists in providing strategic social media marketing solutions to the travel and tourism industry, Digital Visitor has worked with a range of renowned UK destinations including Destination Bristol, Royal Borough Windsor and Maidenhead and Visit Eastbourne, to name just a few.